Westgate Vacation Villas offer a relaxed way in which you can explore the world-famous attractions that Orlando has to offer. 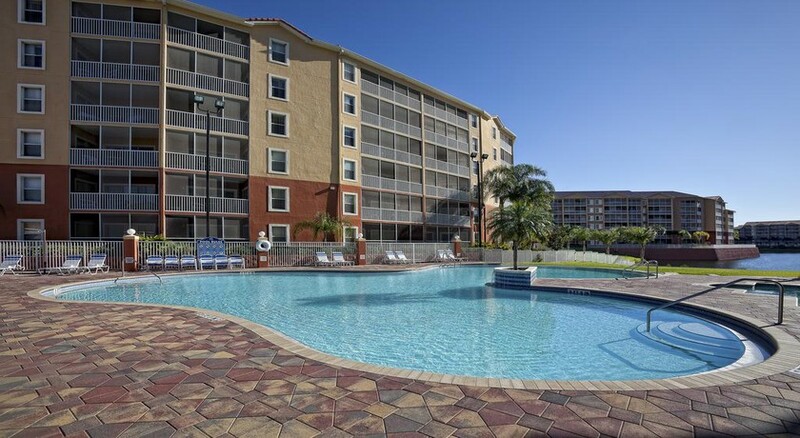 There are 14 heated pools at the resort as well as a fitness centre and it also offers transport to some of the main theme parks which includes Walt Disney World. A games room is present as well as sports bar, poolside bar and bistro. Couples and families will enjoy this property and the villas can sleep between four and 10 people and pets are allowed too. 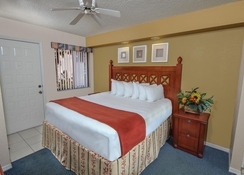 Westgate Vacation Villas offers great amenities and a suitable location so that you can enjoy all the main theme parks and sights in Orlando, Florida. Westgate Vacation Villas is a great place for golfing as Mystic Dunes Golf Course and The Legends Golf Course are both less than 2 miles away. It is also close by to Disney’s Animal Kingdom (2 miles), Disney’s Boardwalk (3.7 miles), Epcot (4.3 miles) and Walt Disney World (6.1 miles) are all near to the property. The other main attractions such as SeaWorld (9.8 miles) and Universal Studios (15 miles) can be reached easily while the Orlando International Airport is 18.9 miles away. There are five accommodate types available at the Westgate Vacation Villas that can sleep between four and 10 people. Studio Villas have two double beds, Two Bedroom Villas have two single beds, one extra-large double bed and a sofa bed and can sleep up to six people while One Bedroom Villas have one double bed and one sofa bed. Deluxe Two Bedroom villas with loft can sleep up to 10 people and the deluxe to bed rooms have capacity for eight guests. The villas come with a fully-equipped kitchen, laundry facilities, Wi-Fi and seating areas. All the villas have a fully equipped kitchen where guests can cook their own meals. There is also the Drafts spots bar which provides a selection of craft beers and other alcoholic drinks with burgers and pub grub. Banana Cabana is beside the pool and there is European cuisine at the Bistro. 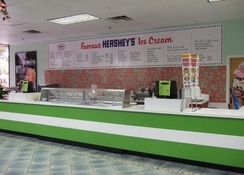 Guests can also find an Ice Cream Shop and Joe’s Marketplace and Deli and steakhouse is within walking distance of the property. 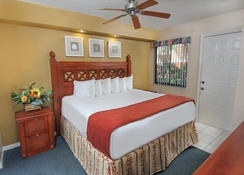 Guests can enjoy a wide range of activities at the Westgate Vacation Villas. 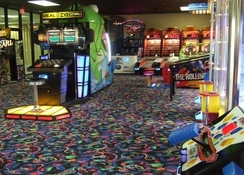 There is a fitness centre, movie theatre, 14 pools, hot tubs, volleyball courts as well as a games room. 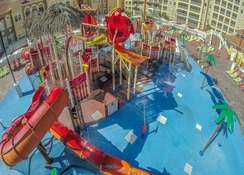 Children will especially like the Shipwreck Island Water Park and golfers can pay a visit to either Mystic Dunes or The Legends Golf Course which are both close by. 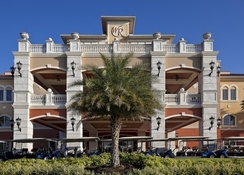 Shoppers can avail of Prime Outlets Orlando and various other shopping opportunities in the area.